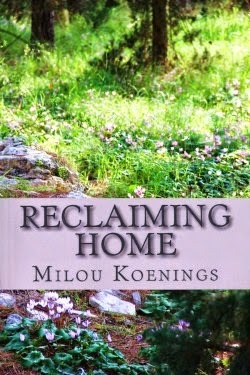 That's beautiful, Milou. Since I live in a place where we don't have real winters, I don't know about this firsthand, but it must be wonderful to see the snow and cold retreating, and spring taking hold. It is lovely to see spring arrive - although it's hailing again today! It always amazes me how suddenly the trees bloom around here. 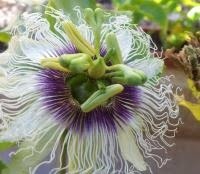 I love the passion fruit flower in your photos! They are such beautiful flowers, so intricate and impressive! Makes me want to get outdoors and plant something. What a great post! Yes, spring is the best part about winter :-)! Some things change quickly but in my life most go through a gradual change. My daughter's departure was planned and talked about for a long time, and my son is still here, but I'm preparing myself for him to leave one day soon. Although I don't think having time to prepare and get used to the idea will help make it any less painful. The changes in our garden are gradual as well and I love watching the changes as the seasons move on. Changes sometimes comes when we least expect it or want it, but all you can do is embrace it and if you are lucky good thungs will come from it.